If there’s one thing we all want to see, it’s the baking and food industry grow. I’m not just talking about expanding our product lines and sales, but laying the groundwork for expanding ideas and inspiring young leaders; making room for innovation and a fresh way of approaching problems. That’s why I’m a supporter of the American Society of Baking and their commitment to community, integrity, education and leadership. This group of commercial baking professionals, food technologists, engineering, equipment, ingredient and service experts know that by creating a space to share and spark ideas, baking technology can make great leaps forward. ASB offers educational material, webinars, and the BakingTech conference, among other things. A recent study by ASB and ABA, The Workforce Gap in U.S. Commercial Baking: Trends, Challenges and Solutions, revealed that the baking industry desperately needs engineers, machinists and maintenance personnel. So ASB started the Engineering/Maintenance Scholarship Program, which awards five $4,000 scholarships to help aspiring engineering students get the education they need to make a difference in the baking industry. “We focused our funding on those areas and immediately found incredible individuals who are passionate about making a name for themselves in this industry,” Van Amburg said in the ASB Magazine article. Helping support engineers in the baking industry really does make a difference by opening the door for innovation. BCI’s patented Rapidojet Technology owes its start to Food Engineer and Inventor Dr. Bernhard Noll. He came up with an idea to revolutionize the way we approach hydration and mixing. Dr. Noll demonstrates the Rapidojet. 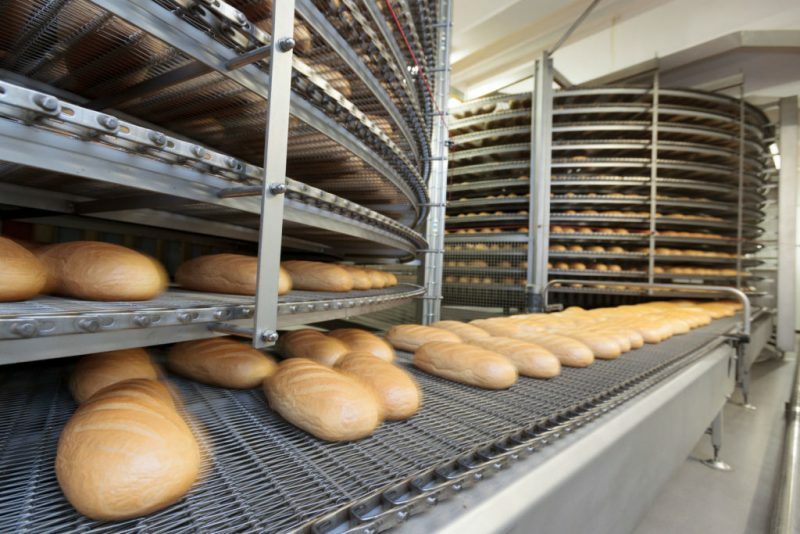 Now, bakeries are seeing up to a 65% reduction in mixing time and 8% higher yields with biga, and huge cuts in labor, power and equipment costs. All because someone took a chance to think outside the box. The soaking time for bran and other grains has been eliminated while instant hydration of 300% has been achieved. If we want to take our businesses and products beyond the safety of “it’s always been done this way,” then it’s time to start looking to the future and how we can get there, together. To find out how you can be a part of the future of hydration and mixing, email me about Rapidojet at ken@bakeryconcepts.net. With over 30 years of experience in multiple aspects of the commercial baking industry, Ken offers detailed knowledge of both formulation and process with a thorough understanding of the needs of multi-unit retailers, artisan bakers and large volume commercial bakers. Looking for a Versatile Workhorse for Your Food Production Facility? Reduce Tempering Time to 3 Hours? That’s Not Possible!